Homemade Limoncello ~ Sardinia Baby! After Campari Limoncello is the second most popular drink in Italy. This recipe is from Nonna Peppa's oldest friend 86 year old Zia Domenica. 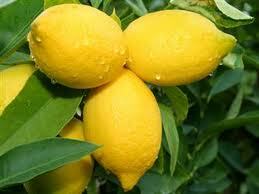 Peel the lemons so that the zest is cut into big bits and remove any white parts remaining. Put the zest in the alcohol for 2 days (even more is fine). After this keep the alcohol and remove the zest. Dissolve the sugar in the water (adding a bit at a time and always stirring) and then let it boil for 3 minutes. When this mixture has cooled down add the alcohol to it. Sieve the final mixture (you can use a funnel with a fabric napkin on top so that it goes straight in the bottle). Ready! Keep in the freezer!